When I interviewed Bunmi Olaye best known as Bunmi Koko in late 2009, she enthused about her dream to dress celebrities and first ladies. Well, can you believe that less than a year after that interview, her dream came true. Bunmi sent a prospectus featuring her designs, which fuses her African and western heritage to a number of places, including the White House. The rest as they say is history as Washington came calling, asking the designer to make a coat for the fashionista first lady. If that was not enough to make a lady blush, this past summer, Bunmi KoKo won the award for Emerging International Designer at the Africa Fashion Week, South Africa. Described as the ‘One to watch,’ Bunmi was born in Nigeria where she lived until the age of 14, and says she knew from a young age that she wanted to be a fashion designer. In two days time, her designs will grace the runways of London Fashion Week. In her own words, Bunmi Olaye and her plans to do big things with her brand. BELINDA: You have been designing since you were a youngster, was fashion your first passion or did you progress from one form of the art until you found your place in fashion design? BK: I knew I wanted to be a designer from the moment I could hold a pencil. I drew on everything from an early age, from drawing cartoon images to drawing dresses that I saw in magazines. But the defining moment was the summer I started making clothes for my Barbie doll. I used everything I could find, socks, and denim even wrapping paper and cellotape. I was only about five or six years old. The passion to draw and paint developed over the years and I took the necessary steps to gain the required skills by studying art and design in addition to a Styling & Photography at the prestigious London College of Fashion where I showed a dedication to fashion, style and the photographic medium. However, I still had a hunger to design and make clothes and went on to study for a degree in Fashion Design & Marketing. During my studies, I had the privilege of working for luxury companies such as Prada, Harrods, Allison Rodger and Louis Vuitton. It was during this time that I developed my individual creative style and an understanding of what luxury garments look like. BELINDA: Who and what inspires you as an artist and fashion designer? BK: As an Artist, I’m greatly inspired by Michelangelo, Leonardo Da Vinci, David Downton & Jason Brooks. As a Fashion Designer, I’m inspired by European designers like Valentino, Viktor and Rolf, Marc Jacobs, Coco Chanel and John Galliano. Generally, my inspiration is from looking at cultural history around the world, people, architecture and modern art. 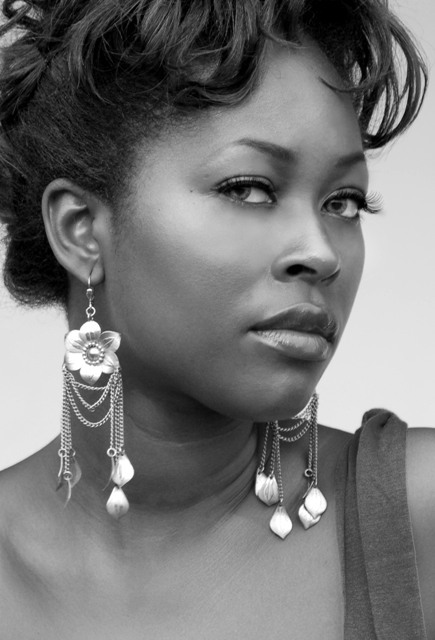 BELINDA: Which African designers do you admire and why? BK: Ozwald Boateng because of the way he has transformed bespoke tailoring in Savile Row by adding colour and incorporating African influence in his garment. BELINDA: What does Bumi KoKo design house stand for and wants to communicate its designs in today’s large landscape of fashion design? BK: Bunmi Koko offers luxury couture fashion with contemporary elegance and sophisticated edginess combined with eclectic and whimsical style of artworks in illustration. Our design slogan “Luxuria, Art, Elegans”, translates as ‘Luxury, Art, Elegance,’ and is ingrained in all our products and services. This is what we want to communicate through our designs and fashion label. BELINDA: Who do you respect in the fashion world and which fashion designer would you like to emulate and have the same impact they have had in the fashion world? BK: I respect Louis Vuitton and would like to emulate Marc Jacobs. BELINDA: Your designs are currently for women only. Do you have plans to design for men in the future? BK: We have plans to introduce menswear and art in the form of abstract fashion illustrations. The menswear will be bespoke and ready to wear while the women’s couture will have a variety of styles in different categories such as bridal, African couture, evening wear, formal daywear and tailoring. The ready to wear line for women’s wear will have an accessories and lingerie line to compliment the collections. Other product ideas for the future are kids wear, perfumery and beauty. BELINDA: Who do you want to wear your designs? BK: The everyday woman who is fashion forward and wants clothes that flatter and enhance her femininity whilst mixing classic pieces that she’ll have in her wardrobe forever with those hot seasonal pieces and of course celebrities and first ladies. BELINDA: Is there anyone that you would like to dress up? BK: I have always wanted to dress Mel B and Victoria Beckham from The Spice Girls. I’m pleased that Mel B is currently a Bunmi Koko muse. However I will also like to dress Zoe Saldana, Thandie Newton, Sarah Jessica Parker, Chloe Sevigny, and of course Beyonce Knowles. BELINDA: What were you biggest fears when you stepped out to start Bumi Koko? BK: There have been highs and lows. The “highs” have been the freedom of creative expression and being my own boss. Apart from that developing the Bunmi Koko concept in terms of art and fashion and working on transforming the Bunmi Koko dream into a luxury lifestyle brand. The “lows” have been the financing and setting up as it is early stages, so much has to do with investments and not necessarily seeing a quick turn around even more so during these times of economic distress. Fashion is a very labour intensive business and requires a lot of money, especially when you are starting at the luxury end. Everything we do has to be the best, we set high standards and it is not always cheap. In addition to working extremely long hours, having a lot of responsibilities and making tough and very important decisions but in saying that, I still love what I do, it keeps me busy. BELINDA: You have a collection of Western and African designs in your line, what do you admire about the African fashion industry that encourages you and compels you to partake in it? BK: The African fashion industry is growing and we are seeing some focus and more interest developing for African designers and that is very encouraging. However as a company we want to bridge both worlds and not solely target Africa but also the Western world by having designs that would suit people of all backgrounds. BK: Ankara fabric is unique to Africa and we’ve seen it on the runways of major fashion week shows by European designers. It is the ability to mix and make good designs which are unique that revive a traditional fabric. BK: Bunmi Koko plans to develop into a lifestyle brand where there is a little something for everyone; this includes menswear in the near future. We are currently working towards producing a women’s ready to wear line and accessories. We will also be producing some iconic illustration services. BELINDA: What should we expect from you from now onwards? BK: That Bunmi Koko is here to stay. Watch this space because we are going to do big things! Note: As Bunmi prepares for the London Fashion Week, she needs your generous hearts and hands to make it happen. Support her as she showcases her collection which is in honour of Mary Slessor, an honoured Scottish missionary that fought for women’s rights in Nigeria. 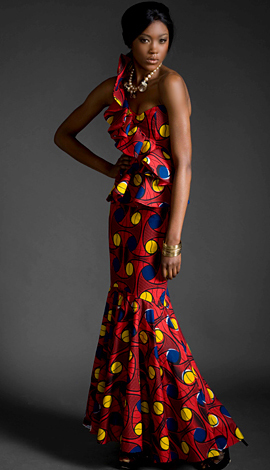 To find out more, follow this link: Bunmi Koko London Fashion Week. This entry was posted on Wednesday, September 15th, 2010 at 6:57 am	and is filed under Africa, Black Britain, Features, Interviews, Journalism, Nigeria, People. You can follow any responses to this entry through the RSS 2.0 feed. You can leave a response, or trackback from your own site. Absolutely gorgeous! Where can I buy her pieces? @ Precious, I think you can get info about her pieces on her website.